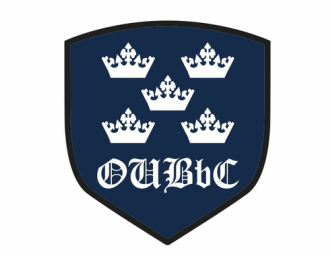 Wondering what to do with your time?....I hear the OUBbC newsletter never fails to entertain! ​"From the whole 2016/2017 committee, I want to wish the upcoming players and committee members even more dedication, hard work, and luck to make the new season the best we ever had." It's also time to welcome the new committee, under President Zoe Fannon, into their roles. W2 kicked us off with a win over their rival; 45-31. Historically Cambridge have always won this match; good job on changing this girls! M2, living up to expectations, proceeded to take their 3rd win over Cambridge this season, 60-40. W1 lost a hard fought match. Having seen Cambridge lead by 10 points in the first quarter, a change of tactics saw this shrink to 4 points for the middle quarters. Final score was 56-42. M1 played a fantastic game to finish 66-54 over Cambridge. MVP goes to Will Leiner who played half the game with a head swathed in bandages. If you missed out on the action AE Photos has an album here. We're so excited to say M1 won their knockout match against Salford yesterday. This means they enter the prestigious Super 8s (March 5-6th) for the first time in years. The competition is between the top 8 Universities in Britain, and alway features some top rebounds and shots. W1 lost their knockout game against Newcastle. M2 showed their quality last week in taking home the best win of their season; 72-37 to Oxford. Photos of the game below.